Our mission is to encourage Jewish women and teens of all backgrounds to express themselves through writing and art, as well as to unite, educate and inspire communities. Contact us for a list of locations or to have one sent to you. Nishei began in 2015 in Atlanta’s Jewish community. As we expanded beyond Atlanta into Richmond, then Jacksonville and other southern communities, we considered changing the name of the publication for those who didn’t know the meaning of the word Nishei. However, after conducting surveys at various women’s events, we decided to retain the original name with an added tagline: Nishei – Jewish Women’s Magazine. Women explained that even if they didn’t fully understand the term’s meaning, they knew Nishei was a magazine filled with interesting and inspiring content. Hebrew for “women of,” Nishei gives us the opportunity come together as “women of” whichever community we call home — united as one. Nishei – Women of Wisdom. Women of Transcendence. Women of Elegance. Nishei.org includes content from the printed magazine and is updated daily, as well as linking to social media such as Facebook and Instagram. To dedicate a section in honor of a loved one and for other sponsorship opportunities, please call 404-542-5800 or email advertising@nishei.org. To submit an article, essay, poem, artwork or photography for potential publication online or in print, please email submissions@nishei.org. Mindy Rubenstein has worked as a journalist for print and online publications for 18 years, interviewing others and telling their stories. She has written for Florida Trend magazine, the Tampa Bay Times, Atlanta Jewish Times, Jewish Press, Chabad.org, Aish.com and others. Read some of her articles here. Rubenstein also served as a communications manager for a company with 16,000 employees and received a national journalism award for religion writing in the secular media for her Faith and Motion series at the Tampa Bay Times (formerly St. Petersburg Times). She previously published Nishei magazine in Atlanta, Georgia, and Richmond, Virginia. She has a master’s degree in journalism from the University of South Florida, a bachelor’s in business and writing from the University of Florida, as well as coaching certification from Rabbi Aryeh Nivin’s Machon HaAdom Institute in Ashdod, Israel. Rubenstein has served as a speaker for various programs, including the Tidewater Jewish Community Center’s Challah Bake, which drew more than 200 women. She also speaks to smaller groups about her personal and professional journey. 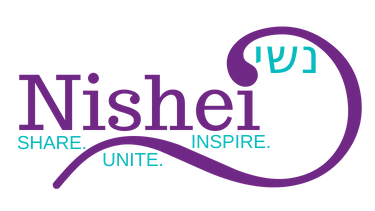 She founded Nishei as a way to encourage women and teens to express themselves through writing and art, as well as to educate, inspire and unite the greater Jewish community. Email us or call 404-542-5800 to learn more about sponsorship opportunities. For submissions, email us at submissions@nishei.org. Teach Like Your Soul’s on Fire! A non-Jewish friend shared a reggae song with me recently, and I was moved by its lyrics and graceful passion. The lovely woman singing seemed to be on spiritual fire! As I listened carefully to the lyrics of this song, I found that, like many songs of this genre, they’re usually religious. I don’t know … Continue reading Teach Like Your Soul’s on Fire!